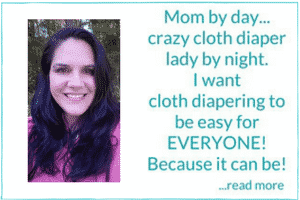 I feel so humbled to be able to bring all of you TRUTHFUL information for you to use in your cloth diaper journey. 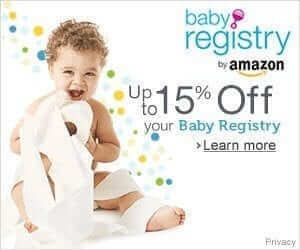 As you may have noticed All About Cloth Diapers is blessed to have many advertisers. Their ads can be seen at the top of the right sidebar. I do not show partiality to my advertisers. Occasionally I will be asked to review a cloth diaper in which the company will provide me with a free sample. This DOES NOT mean that I will blog about it, however. The only reviews that make it to my blog are the ones that stand behind and I they will only contain my HONEST opinion. There are times when I may opt to provide you with an interview or background information on a company. This gives you the opportunity to discover a new cloth diaper without my opinion attached to it. I do NOT accept payment or product in return for a positive review. If you read a good review it’s because I actually like it. Please remember that my blog contains only my opinions. What works for me may be disastrous for you. You will also find numerous links to places you can buy items I reference. Many of them are affiliate links. This simply means that if you purchase through the link you will be helping to compensate me for the time and effort I put into educating others on the benefits of cloth diapering. Thank you!! **Disclaimer** I cannot be held personally liable for any damage done to your cloth diapers and accessories. The advice given has been tested by myself but I encourage you to cover your bases before you implement advice, specifically washing instructions.